Since Guido van Rossum first released Python to the public in 1991, it has become one of the fastest growing major programming languages and established itself as the defacto language among varied scientific communities. Python is particularly valuable to today’s forward-thinking industries and technologies, including data science and machine learning. Its intuitive platform makes it appealing for new programmers, yet it can also serve as a tool for more complex purposes. 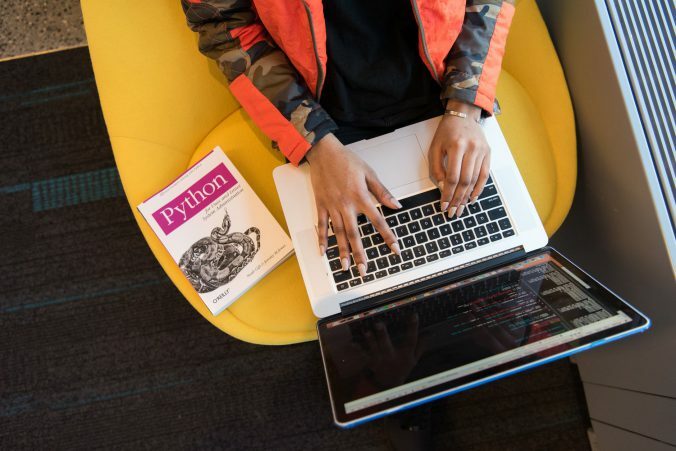 Brandeis GPS offers multiple online courses that teach the programming language specific to certain industries: Python Programming (FinTech), Bioinformatics Scripting and Python Programming (Bioinformatics), and Python for Robotics and AI (Robotics). All three courses are available for professional development as long as students can demonstrate previous basic experience with a programming language (or undergraduate-level coursework). Brandeis GPS offers rolling admission to our 12 fully-online master’s degree programs, so you can apply and be accepted at any time. However, we do have recommended deadlines if you are seeking admission for a specific term. The deadline to apply to our Spring 1 session is Wednesday, December 19. You can apply here. Those interested in taking a course who do not yet wish to pursue a full master’s degree can still take up to two online courses without officially enrolling. To learn more about GPS courses or graduate programs, check out our website or contact gps@brandeis.edu or 781-736-8787.